Our runner, John Kennedy, is the chief cook and bottle washer for organizing the annual dodgeball event. This year’s event was a huge success and we sold out at 16 teams. There was even a waiting list. 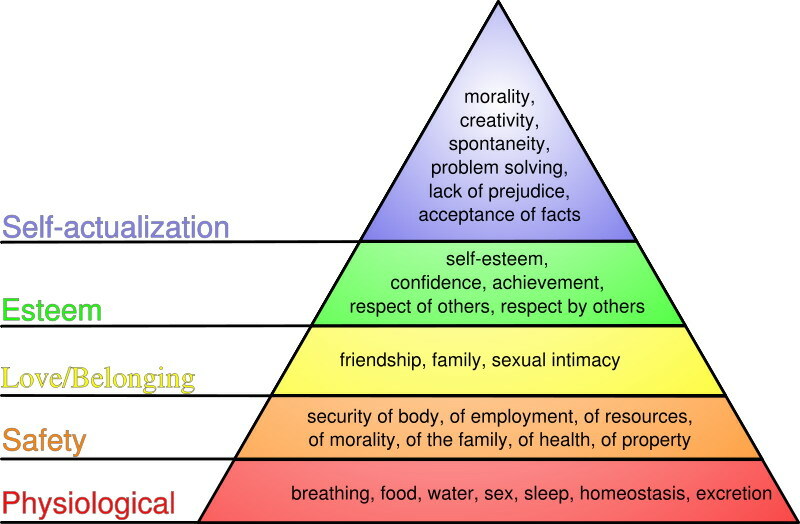 Ok, ok, I bet you are wondering what the heck Maslow’s Hierarchy has to do with Dodgeball? Good question. Our events and fundraising drive in general would not have even a remote hope for success were it not for the giving nature of our friends. This year’s dodgeball tournament ran like clockwork with the support of many volunteers. Volunteers! People who give their time freely and friendly. Whether the task is selling beer, refereeing a game, taking pictures, cleaning up, or just generally being on hand to lend a hand. I am deeply moved by the generosity of people. Being a very independant person, it is not easy for me to ask of others. Yet. These friends and colleagues make it so easy to approach them and they sign on to the task at hand eagerly and with a smile. This can only happen when people have climbed their way up the pyramid and decided it is part of their nature to give something to the community in which they belong. How blessed are we that we can live in a time and place where all of our base needs have been long addressed. I am proud to have so many wonderful people in my life. It is humbling. I am also ashamed when I catch myself whining about some petty misfortune or other. I have nothing to whine or complain about. It is good to reflect on all that we have and be thankful. We are the richest of the rich. Here is to the inspirational and giving nature of my friends, I hoist a pint in your honour, drink deeply, and bow.